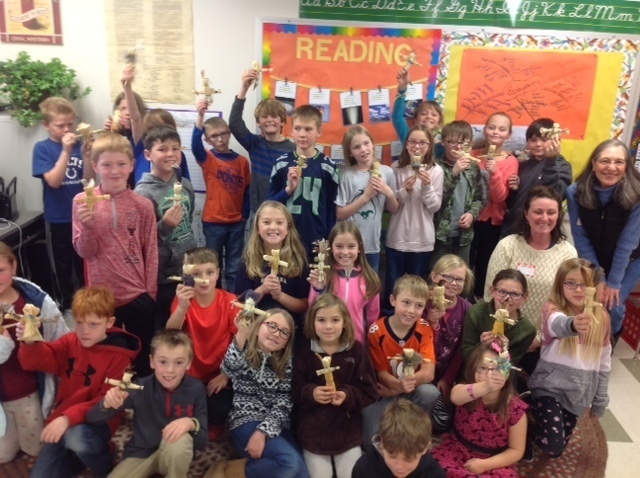 On Friday, November 16th Penny Hall came in with Amanda Nelson to show the 4th graders how to make corn husk dolls. Penny started the lesson by reading a Native American folk tale about a vain Native American girl who was taught a lesson by a wise owl. The 4th graders had a lot a fun and learned a valuable lesson about how what is on the inside of a person matters most!